I hope you guys have prepared yourself for all the awesome cards coming your way that are created with the Country Road Stamp Set. Today's card was inspired by my teammate Janet and you can see her creation below. 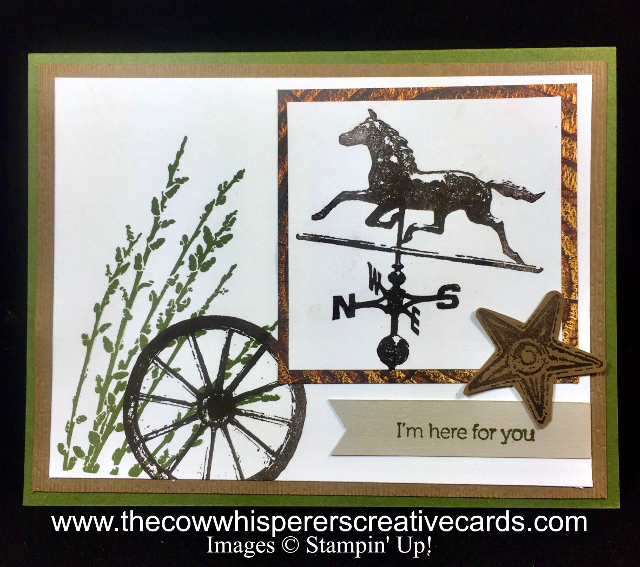 Mossy Meadow Cardstock, Mossy Meadow Ink, Wood Textures Designer Series Paper and the Country Road Stamp Set, ummm I don't know if it gets any better for this Farm Girl. I added an additional layer of Soft Suede Cardstock behind the stamped layer, but first I ran it through the Big Shot with my new favorite Subtle Embossing Folder. I promise you it really makes the paper look like linen fabric. 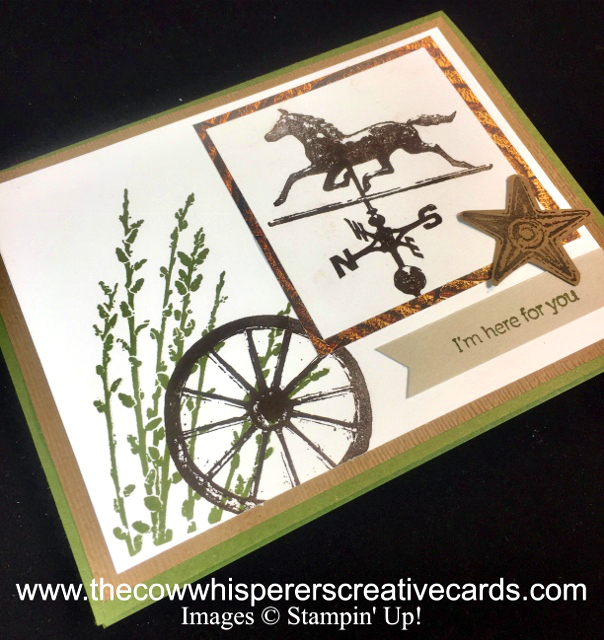 If you haven't already received this embossing folder, trust me you want to add it to your wish list. This card is so versatile and by changing the sentiment you could give it for all types of occasions. 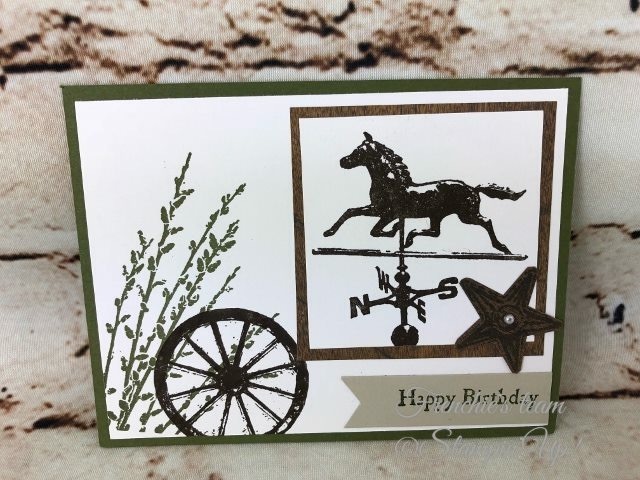 Thanks Janet for sharing your rustic Birthday Card and inspiring us all. Card Base - Mossy Meadow - 8 1/2" x 5 1/2" scored at 4 1/4"
First Layer - Soft Sued - 5 1/4" x 4"
Wood Textures Designer Series Paper - 2 3/4" x 2 3/4"
Sahara Sand Strip - 1/2' 2 1/2"